Branding is a major term used in advertising & publicity. with changing times the whole advertising scenario has taken a leap. There is so much we don’t know, there is so much we do not have any idea of. There are a dozen of new practices that are trending all over the internet. Millennials are taking it over and creating their own world. With recent times, there are novel terms of branding that have caught my eye and I would like to share them with you. Around 90% of people are present on at least one of the social media platforms, and with changing times social media platforms have started serving as a podium to new and emerging talents. People have used their hobbies & daily ideas and turned it as an identity, whatever they are good at and with regular & unique content posting become influencers on social media. They enjoy a huge number of fans & followers, with people really looking forward to their next post. Now, these influencers vary from one category to another. For example, gym enthusiast often posts pictures & videos of their intense workout session showing off their physique and body and thus with the good quality of content and posting at regular intervals they attract people who are interested in bodybuilding. People like them, idolize them and follow them on social media platforms. TikTok being the most loved social media platform has given a new height to social media users. Users Dubsmash, mimic and create their own short videos & content related to movies or famous dialogues, songs and what not. Not just that, the app consists of certain types of challenges and creative feeds that people fall in love with. Being available in 150 markets with more than 70+ languages, it’s been observed in the US that TikTok had more downloads than Facebook, Instagram, YouTube & Snapchat. By October 2018, TikTok was the 3rd most downloaded app globally. Being the most loved app by teenagers, every teenager is becoming an influencer on Instagram enjoying the luxury of a huge number of followers and engagement. It is a great opportunity for any brand to get seen by more and more people by leveraging their business instagrammability. Now, how is it related to marketing? Brands who are new in digital & social media marketing contact these influencers and collaborate with them asking to post pictures & videos, creating unique content for their products and services or giving positive reviews about it in return of monetary incentives or barter negotiations. By doing so they directly speak with the target audience and take advantage of the popularity of the influencers to promote their brand. Online reputation management is a long & dynamic process, it does require a lot of control and monitoring to make sure that the goodwill and digital presence of the brand are maintained & growing. Over 100 million+ hours of video content is consumed daily on Facebook alone. With such huge numbers, it becomes very important to keep monitoring social media platforms to know where do you stand in such a competitive environment. Using email automation software for thanking the customer, requesting reviews and following up saves a lot of time and makes it easy & effective for the users as well. MailChimp & Constant Contact are good email automation software. Inbound marketing is the most important term you must know, it can be arguably said that the whole digital marketing runs around this single phenomenon. All you do is that you work and work on your content with so much attention & finesse that you end up writing and creating killer content, content which is entertaining, interactive and at the same time informative as well. Content that is useful is what people search for on the internet, every single thing about your content matters. What is the format of the content? Is it a blog or a video? Does it answer the queries the user have about the brand and the product? Attracting your target audience to your brand and engaging them with CTAs and newsletter, notifications and content offer to generate qualified leads and drive sales is what inbound marketing is all about. Writing good content is one thing but to market, it is a completely different story. With SEO tools and plugins like SEMrush, Grammarly & WordPress it becomes easy for you to create quality content and make your brand visible and attractive. Marketers not only work on their content but they make sure that the content is visible in the search engines and helps in the ranking of the brand website. People on the internet are always in the hunt for original and unique content and there are strong SEO tools that can be used for creating good quality authentic content. Planning a good content strategy for digital marketing is very important and it cannot be taken lightly. SEO is a widely known term but it really surprises me as to how many people still aren’t aware of it. Marketers accept that they invest more in SEO then they ever thought they will because it is not only cheap but it is effective. With the correct study of the right keywords, longtail keywords, backlinks, link building SEO analyst help you build a domain authority and spike the website ranking which ultimately helps in traffic generation. We live in the digital age and with digital content raging, brands have evolved tremendously over time. 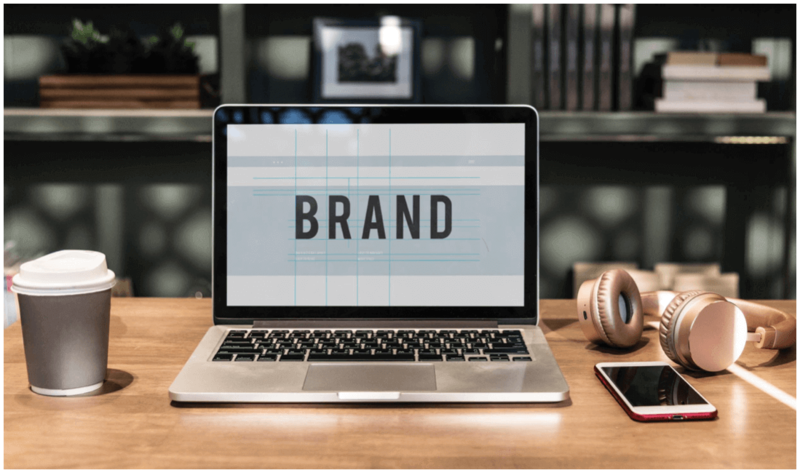 With each passing day, we discover a new avenue for business and these branding terms are the language we need to learn and be fluent at.